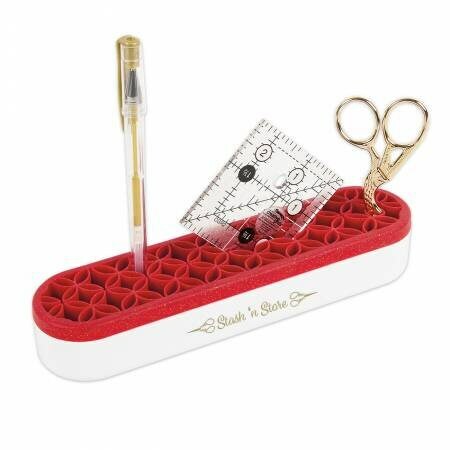 The new Stash 'n Store is the perfect device to keep your sewing and crafting notions within arm's reach and ready to go! Easily store marking tools, scissors, stilettos, rulers, even brushes and small rotary cutters, in an easy-to-go upright position. Note: Purchase does not include any rulers, scissors, pens, or seam rippers. Size is 8 1/2" long x 1 1/2" tall.